In his recent conference address, Elder Robert C. Gay spoke of “Taking Upon Ourselves the Name of Jesus Christ.” He spoke of ways to see others as Heavenly Fathers sees us, even when it’s inconvenient (or, in the case of James E. Talmage, a medical risk) to ourselves. As I’ve repeatedly listened to the story Elder Gay shared about Elder James E. Talmage, I began to process the experience differently—from amazement at Elder Talmage’s love and compassion to a personal realization. I recently learned about an experience in the life of Elder James E. Talmage that caused me to pause and consider how I love and serve those around me. As a young professor, before he became an Apostle, in the height of the deadly diphtheria epidemic of 1892, Elder Talmage discovered a family of strangers, not members of the Church, who lived near him and who were stricken by the disease. No one wanted to put themselves at risk by going inside the infected home. Elder Talmage, however, immediately proceeded to the home. He found four children: a two-and-a-half-year-old dead on the bed, a five-year-old and ten-year-old in great pain, and a weakened thirteen-year-old. The parents were suffering with grief and fatigue. 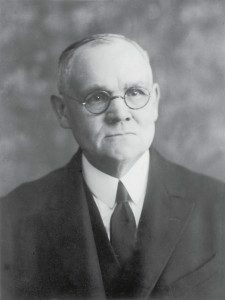 Elder Talmage dressed the dead and the living, swept the rooms, carried out the soiled clothing, and burned filthy rags covered with the disease. He worked all day and then returned the next morning. The ten-year-old died during the night. He lifted and held the five-year-old. She coughed bloody mucus all over his face and clothes. He wrote, “I could not put her from me,” and he held her until she died in his arms. He helped bury all three children and arranged for food and clean clothing for the grieving family. Upon returning home, Brother Talmage disposed of his clothes, bathed in a zinc solution, quarantined himself from his family, and suffered through a mild attack of the disease. Elder Gay shared this experience as an example of someone willing to take Jesus Christ’s name upon him. Internalizing this message has made this stranger’s experience my own and Elder Talmage the Savior. Jesus Christ comes to our homes and hearts—when we’re a stranger or forsaken or forgotten. He opens the doors we’ve locked to everyone’s views. He assesses the need when we can’t function. And with great care, the Risen Lord dresses the dead. He lifted and held the five-year-old. She coughed bloody mucus all over his face and clothes. 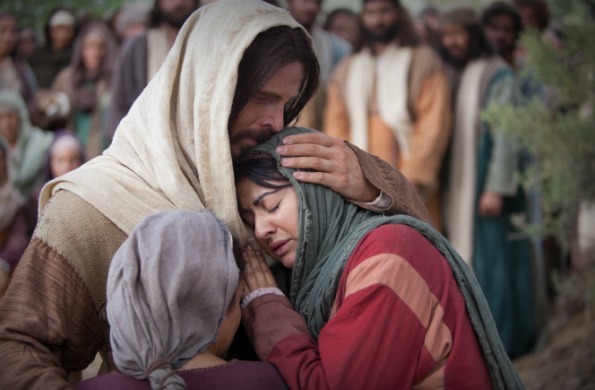 He wrote, “I could not put her from me,” and he held her until she died in his arms. When I listened to this again yesterday, I suddenly saw myself as that diseased and broken little girl, afflicted with a spiritual disease because of willful or neglectful choices. And I saw myself afflicted by the destructive influences of the Fall, the mortal condition, and the impact of living on a planet with others and crashing into them. He held her as she suffered through her agonies. He bore her bloody mucus on His flesh. He could not put her from Him. The promise was that we’d be held. “I could not put her from me,” and he held her until she died in his arms. The Savior holds a battered, diseased, bloody me until I die to things in the flesh. Jesus Christ holds me as I am born again through His atoning Grace. We become His children and through His name, we are changed. Thanks be to God for the unspeakable gift of His Son who bursts the bands of death and hell, and the locked and broken recesses of the heart to bring us into a marvelous, celestial light as His daughters and sons to be held in eternal freedom in the arms of His redemptive love. Spring Has Come: Jesus Always Saves What I Learned Studying Sweat Flipping the Atonement Switch Hidden Treasures—Dark or Bright? His grace and mercy overwhelm me.